Powerful leaders always come with successful teams. And this one, has an entourage. From branding Tequila Avión as a subplot on the hit HBO series Entourage, to launching the only spirits embassy in Midtown Manhattan, and being voted the world’s best tasting tequila, it seems as though there’s nothing this crew can’t do. So we sat down with the company's founder, Ken Austin, and president, Jenna Fagnan, to get the scoop on New York’s most notable spirit, its new Avión Embassy, and the launch of its elite new tequila Reserva 44. Tequila Avión founder Ken Austin (left) and president Jenna Fagnan (right) tasting tequila. Ken, tell us about founding Tequila Avión! KEN AUSTIN: Being born in Brooklyn and having been raised in New York my entire life, I learned that one thing; New Yorkers really care about the quality and care that goes into products and services across all industries. Having had a love for Tequila my whole life and always dreaming of starting a brand such as Avión, I set out to create a pure tequila that pays homage to Mexico and really respected the hand-crafted processes used to create small batch tequilas. We made the quality of creating Tequila Avión the most integral characteristic of our spirit and brand. Having worked with the Lopez Family, agave growers from Jesus Maria, Mexico for multiple generations, we were able to create a single-origin and 100 percent natural tequila with superior taste. Unlike many other tequilas, we source all of our agave from the Jesus Maria area, where the elevation is 7,000 feet. above sea level, creating a sweet and robust agave-forward flavor. We heard you opened the first spirits “embassy” in Midtown Manhattan. What made you decide to open an embassy? KA: The Avión Embassy as I call it is located in the heart of NYC and is close to the United Nations and many consulates thus the coined name. It is a place to share our love of tequila with the trade as well as our friends and family from NYC and Mexico. Can local New Yorkers experience the embassy and attend for tastings? KA: For now it’s the main hub for our New York and Mexican Avión family to call home, but we are hoping to open up our distillery in Jesus Maria, Mexico to the general public soon! It will be a beautiful space for tequila lovers from all over the world to come and see how Tequila Avión is made while also learning about the greater history of tequila making. Tequila Avión originally launched in 2010 and was seen on the hit HBO series Entourage as the spirit company that Turtle promoted. Tell us the story behind Entourage. KA: We launched in 2010 and our friend Doug Ellin the creator and writer of Entourage after learning about our brand said he felt it would be an amazing storyline or arc for the show and Turtle the character we all loved. 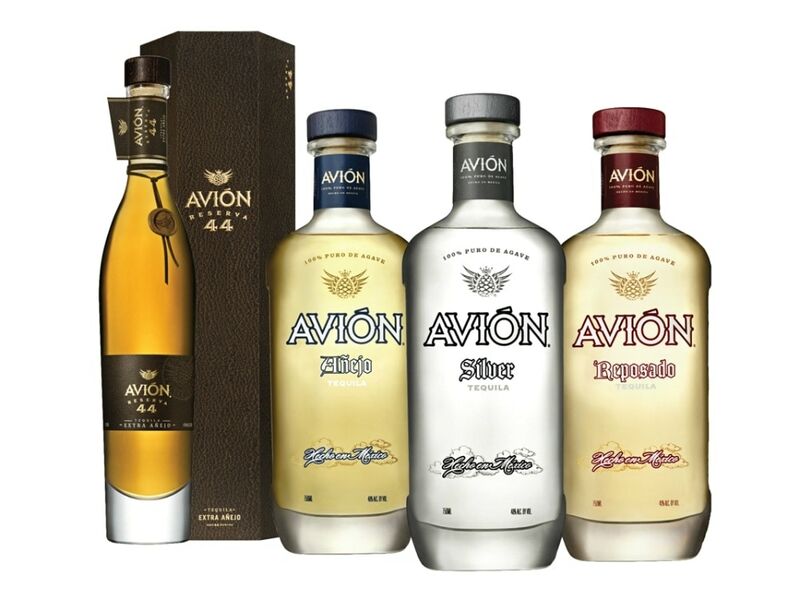 The company didn’t pay a dime for it, it was just something friends do for friends and it did create impressive awareness for Avión in our early days. The only issue was that people didn’t think we were a real tequila brand, so we had to pivot to consumers and make them understand we were indeed a real tequila brand in bars, restaurants and liquor stores. In 2012, we were named “World’s Best Tasting Tequila” and “World’s Best Tasting Unaged Spirit” at the San Francisco World Spirits Competition and things really started to cook for Avión after that. Ken, you mentioned that Avión Silver was voted "World's Best Tasting Tequila" at the San Francisco World's Spirits Competition. Jenna, can you tell us about what makes this liquid libation so special? JENNA FAGNAN: Tequila Avión Silver is a single-origin, all-natural tequila, which aficionados know is highly unusual. Many tequila producers source their agave immaturely (meaning before the plant is seven to 10 years old) and through multiple sellers meaning the flavor is often inconsistent which drives the need to use additives and caramel coloring for consistency in the final expression. All of our tequilas are made with Blue Webber agave from the Jesus Maria area, to ensure each of our expressions has a consistent and authentic agave flavor. By hand-crafting each expression using inefficient distillation methods, we have been able to create what was deemed by The San Francisco World Spirits Competition, the “World’s Best Tasting Tequila” and “World’s Best Tasting Unaged Spirit.” It’s our true honor to share our love for Mexico and tequila through Avión Silver. Jenna, how does it feel to be one of the leading female figures in the spirits industry? JF: I feel that I have the responsibility to lead by example and ensure that women know there is a path to leadership available. When you are early in your career, it can seem daunting or impossible to imagine yourself in an executive role if there are not women currently in positions of power, be it management, board, executive committee. We lose incredible young talent by not having enough of those seats filled by women. It is changing, not quickly enough, but there is change and I am excited to see that. All of us, regardless of gender, must work hard to ensure that we have diversity throughout our organizations. What advice can you give to our young women looking to develop their career in the spirits industry? JF: Don’t worry about making a mistake, learn from it and then move on, too many times we dwell on what we did wrong, wasting time and focus rather than using that energy to push new ideas forward. What are your plans to expand and what exciting ventures can we look to see in the future? KA: As we grow, the most important thing for us is to keep the process of single-origin tequila making at the forefront of everything we do by never cutting corners or putting unnatural additives in our tequila. We will innovate only when innovation provides value to consumers and will never stray from our true roots of quality over quantity. Final question, where is your favorite destination in New York to sip on tequila Avión? KA: In New York there are so many great places to have a Tequila Avión cocktail—can’t choose just one!